Dimensions: total height 89cm, seat height 46cm, depth 50cm, width 45cm, weight 3,9kg. Available colors: transparent, translucent smoked, glossy white, glossy black. 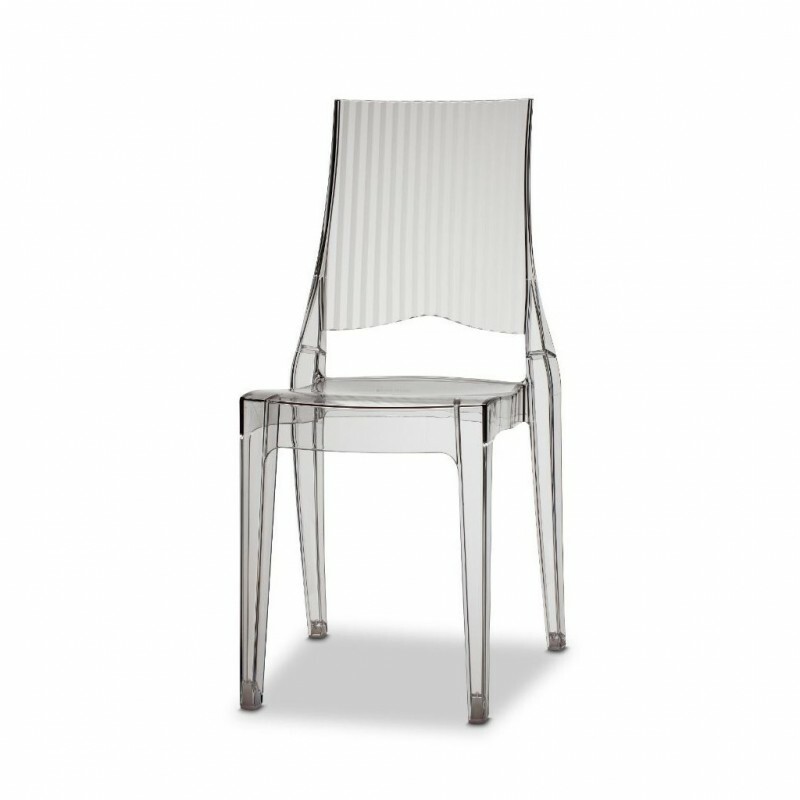 Glenda is an elegant chair that can be used both in interior and exterior furniture. Its polycarbonate structure emphasizes its style, making it perfectly integrable in the most refined environments. Classic in design and modern in material, Glenda chair is comfortable and welcoming. 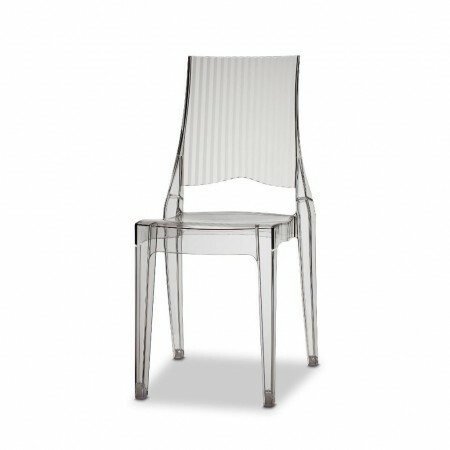 Equipped with high backrest with stripes vertical in the back which accentuates even more its aristocratic charm. Glenda chair, is the right solution to enhance any environment, from the kitchen to the living room, from the terrace to the exclusive restaurant. Ideal for both private and contract projects. Made by polycarbonate shell with unalterable surface, does not undergo nicks or scratches, stackable. Glenda is also available in the stool version, see below in related products.